All of our families are invited to participate in various family programs throughout the year including family services on the First Friday of every month and various grade-level programs. Our unique family education curriculum has been developed to enhance the learning taking place in our Religious School programs while providing your family a chance to practice Jewish living in real Jewish time! Our youngest grades learn about celebrating Shabbat as a community and at home. As your children grow, we will provide opportunities for your family to meet other families in your child's grade while learning about g'milut chasidim (acts of loving-kindness), Torah stories, volunteering together and eventually preparing for your adolescent's Bar or Bat Mitzvah with the help and support of your Temple community. The clergy and the director of the Religious School at Temple Beth Shalom believe that family learning is integral to building community and fostering connections among our school-aged families. These programs develop Jewish rituals and practices that will stay with your children throughout their lives. 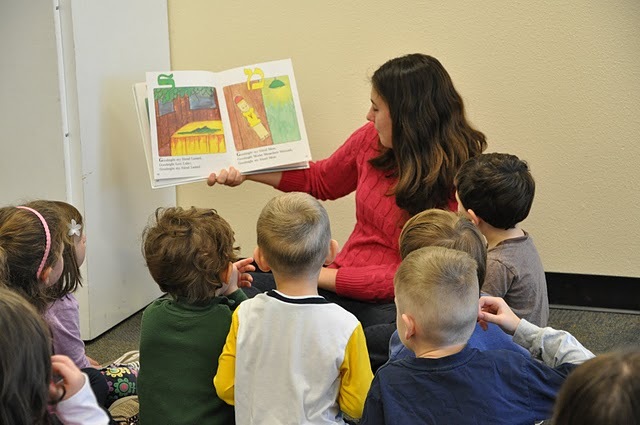 Visit our Shalomites page to learn more about our program for children 5 and under!